ITWeb's digital and innovation editor, Lauren Kate Rawlins. 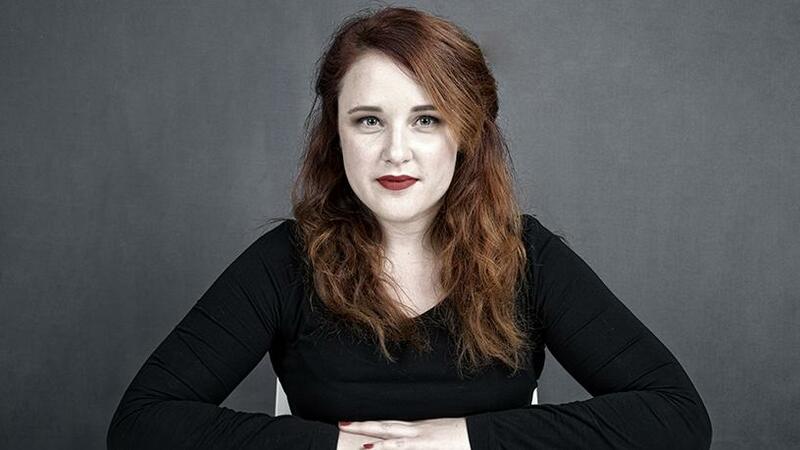 MTN last night announced the winners of its Women in ICT: Partnership for Change Awards, with ITWeb's digital and innovation editor, Lauren Kate Rawlins, walking away with the Excellence in ICT Journalism Award. The awards recognise, honour and celebrate the contribution made by women professionals to the growth and development of the ICT sector in SA. MTN says this initiative aims to encourage girl-children and young aspirant females to consider a profession in the industry as a viable career option and enhance the industry's employer value proposition. This is the third year MTN, in partnership with ITWeb's Brainstorm, is hosting the awards. Rawlins was nominated for the Excellence in ICT Journalism Award together with fellow journalists, Yolandi Booyens and Michelle Constant. "It is really an honour to share the stage with so many inspiring women. I feel humbled to be part of a group of women who are changing the narrative in the traditionally male-dominated sector," said Rawlins. Last year, ITWeb journalists Paula Gilbert and Simnikiwe Mzekandaba were named joint winners in the same category. Speaking at the event, MTN group CEO Rob Shutter said: "My favourite event since being appointed MTN CEO 18 months ago is the Women in ICT Awards. It's only in South Africa where we dedicate a full month to celebrate the wonderful women that we have in our lives and society. "Tonight we are celebrating the wonderful women in the ICT industry. It's important that we acknowledge how much work we are putting in to create an inclusive environment so that we have the right kind of diversity in our businesses. "A UN study shows that less than 30% of senior positions are filled by women in the ICT sector so we still have a lot of work to do," said Shutter. The other winner of the evening was Mariana Kruger, MTN Business general manager for products and solutions, who was bestowed with the CEO's Award as well as the Innovator Recognition Award. Kruger was awarded for her role in using MTN's technologies to combat rhino poaching in SA. The Leadership Recognition Award was won by Pamela Mkhize, head of Sub-Saharan Africa digital satellite at Enel, with Zandile Keebine walking away with the Community Builder Recognition Award. The SME Recognition Award went to Iman Malaka, CEO of TIC IT Telecoms; and the Community Builder Recognition Award was taken by Lindiwe Matlali, CEO of Africa Teen Geeks. Santie Botha and Tebatso Moape won the Lifetime Achiever Recognition Award and Graduate Award respectively. Larry Claasen, Brainstorm editor and a judge for these awards, said: "From what my fellow judges and I have seen, the nominees have all shown determination, imagination and leadership. "In fact, they are so impressive, on more than one occasion, I made a mental note to do a follow up story, on some of those who have been entered. "Though I'm glad women in the technology sector are being acknowledged, it says something about our society as a whole, and our industry in particular, that we need to highlight the contribution of women in developing technology."